We've known Govind Vasantha from the highly acclaimed Malayalam musical band Thaikudam. We have also been fans of his composition in 'Premam'. 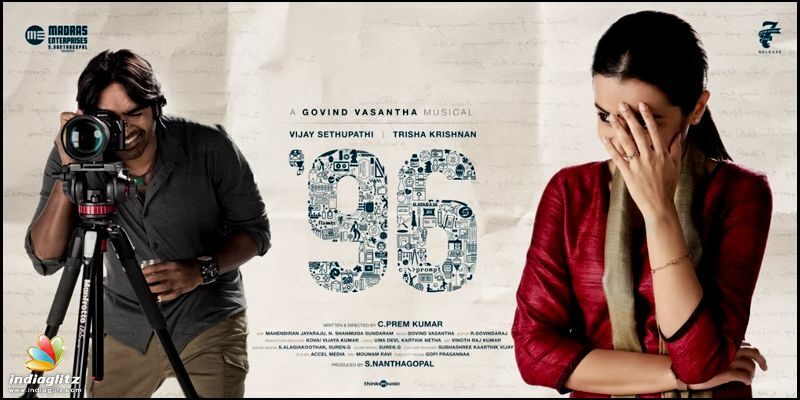 Now the wait is over for his much anticipated album for Vijay Sethupathi in '96'. Trisha is essaying the female lead in this movie, which is being directed by Prem Kumar. Starting off a smooth grand piano transition into vocals, Anthathi eases you into a soulful musical comfort. Chinmayi’s rendition reverberates as the soul of the song while beats, string stretches et al add much texture. Surprisingly Govind brings in a powerful shoutout chorus and as easily mingles with the duet. Even the strain in duo’s vocals as the song progresses is much interesting and likable. Karthik Netha’s lines can’t get better any more for the song, kudos. The Life of Ram is a wonderful track in the album. It takes itself easily contrasting to serious lyrics. That helps the song define its dichotomy which in turn saves itself from a monotonous pattern. Govind is meticulous with violin portions (himself being a enthralling violinist) and he gives you one in this track that leaves you just wanting for more. With a constant guitar accompaniment and thumping beats, this track is worth many repeat hearings. Gowri’s rendition is laboriously melancholic and leaves an impact that is difficult to forget. Yean is a ‘kaadhalin keerthanai’ as its lines advertise to us. Karthik Netha deserves appreciation as much as the composer for not letting the power of lines wane with musical mess. The composition is finely crafted teasing the boundaries of disturbance- the composer’s balance is admirable. A small initial moment of this track reminded this writer of Hotel California, even a little forward you go, the nostalgia is there.Acoustic and electric guitars combine and entwine to dish out a deeply layered song that is sad, yearning and demanding of your love. The nostalgic nerves are going to take a hit with Chinmayi’s soul-piercing vocal. 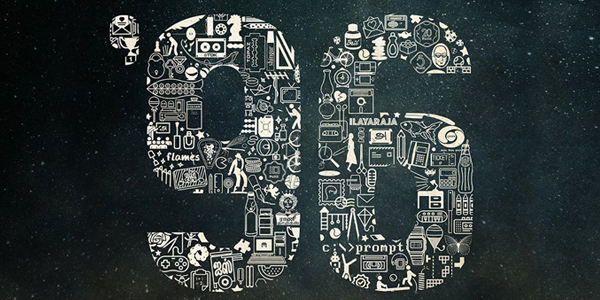 This track is painfully nostalgic making you rethink your own Vasantha kaalangal if you had them. Thaabangale is like the blossoming of emotional yearnings. The track gets its harmony from the way background music has been crafted. But you get to wonder if the album is a bit too pessimistic with a over used motif of melancholy. That may be to cater to the film in question. But individually taken into consideration, Thaabangale will earn your love. Govind is really good in evoking emotions using minimal tools singularly at junctures. With the singers doing their job splendidly, he brings also a carnatic flavour in the middle. Uma Devi has written lines that are worth entire evenings of rumination. It’s a beautiful orchestration of simple, lucid and touching music. Kaathalae Kaathalae is painfully touching. Not only Chinmayi’s mesmerising portions, Govind wins and earns respect with his violin stretches. We had gotten a taste of the song with the teaser itself. There are elements of nature, sounds that hide well within the composition. It will definitely make your playlist. This rendering of Kaathalae kaathalae carries the soul of its earlier version and leaves you in confusion which is better. Kalyani’s voice of course gifts the track a sense of complexity, sophistication and maturity. If not anything, just hear to the middle violin portion- fully boasting off its musical versatility, thanks to the composer. Soulful. Verdict: Mostly on the melancholic side, understanding the album of its core theme will help appreciate it even more.